Bakersfield College will be closed on Friday, April 19, 2019. No classes will be held and all student service offices will be closed. The campus will resume regular operating hours on Monday, April 22, 2019 at 7:30 a.m.
English/ASL Interpreter Training Program (ITP) is now accepting applications for the Fall 2019 cohort. The 25th Chicano/Latino Student Celebration will be held on Friday, May 3 at the Outdoor Theater. Come celebrate with family and friends as they honor the achievements of their graduates in a cultural, bilingual and celebratory atmosphere. Learn more about BC's new Phlebotomy program on April 24 in Forum West at 2:30 p.m. Learn more about career opportunities in business on April 24 in the CSS Lawn Area from 9 a.m. to 1 p.m.
Students can now register for both summer and fall! Enroll today on InsideBC! Learn self-improvement skills every week from now until May 8. E3 workshops are held Mondays from 4-5 p.m. in Library 215 at the Panorama Campus and Wednesdays from 3:30-4:30 pm in DST 117 at the Delano Campus. The mandatory orientation date for the summer session of Nursing Assistant majors is May 29 from 5-7 p.m. in MS 156. Enroll for classes at BC. In InsideBC -> myBanWeb "Add or Drop Classes," select the semester and search for classes. Submit an essay for the contest celebrating Gandhi's 150th Birthday from the Ravi & Naina Patel Foundation. 1st place prize: $1,000! Renegade Online is Bakersfield College's space devoted to the online learner. 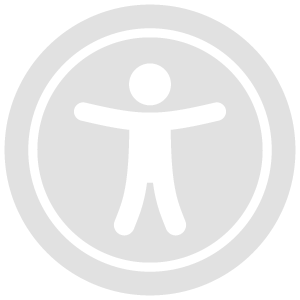 Search course offerings, degrees, and helpful resources. We are building a better BC! Stay informed about the latest campus facility closures and work with Construction updates for a better BC. Policies, admission requirements, academic programs and course descriptions can all be found in the BC Catalog. See the BC Catalog. Support your Renegades athletics teams! Explore the possibilities for your future career and education options. Each pathway is designed with support to keep you on the right path. Everything you need to know to apply for Bakersfield College! Adult Education serves both North and South Kern. Find out more about the BC Adult Education/Job Spot Campus and services provided. Check out the services we offer for our student veterans. Early College gives Kern County high school students an opportunity to earn an associate degree or certificate while in high school. See what Financial Aid you qualify for, submit your FAFSA after you submit your taxes. Learn more about financing college at Financial Aid. Dr. Norman Levan’s generosity included development of an online journal which publishes new works by emerging and established local writers in the spring of each year. 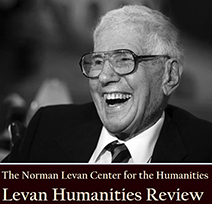 Check out the Levan Humanities Review. Did you know? You can rent our facilities for your next event! WESTEC offers college credit for short and long-term training programs. Distinguished Speakers, Gadfly Cafes, Renegade Round Tables and more panels and speaker offered at the Levan Center for Humanities. Planetarium shows are open to the public. See the schedule of upcoming shows on the William M Thomas Planetarium page. The Renegade Room is a fine dining restaurant, open to the community, run by Bakersfield College students. Join us! Bakersfield College holds classes in the Southwest. Find out more about the BC Southwest Campus and classes offered there. Join the Alumni Association! Check out the benefits of joining, like student-rate discounts and free admission to athletic events. Learn for life! Check out courses at the Levan Institute for Lifelong Learning. Help support Bakersfield College through a donation to the Bakersfield College Foundation.